March 2018 - Perry Hood Properties, Inc. Deciding to downsize isn’t always easy. For those who have lived in the same home for many years and raised a family there, leaving this source of comfort and familiarity can seem uncomfortable. However, at a certain point, a house meant for a family is just too big for two people. 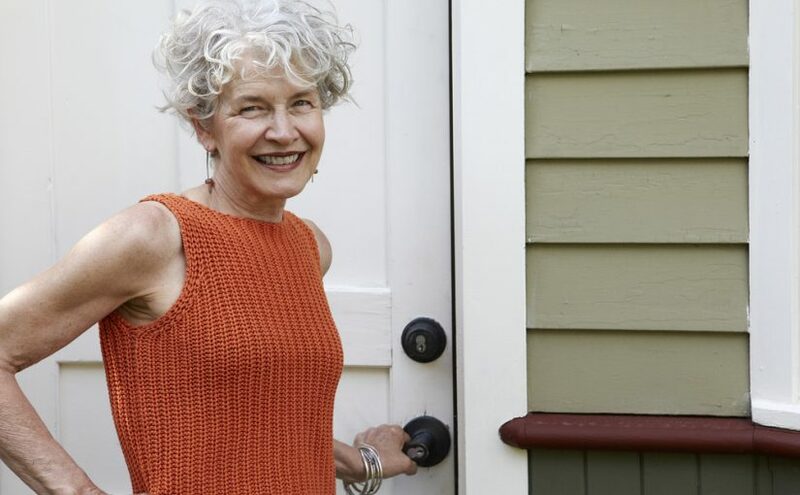 If you’re on the fence about whether you need to downsize, here are four signs it might be time. Owning a 5 bedroom home with 3 and a half bathrooms makes sense when you’re raising a family, but two people may not need that much space. An empty nest like this means you’ll be paying for space you’re not using. Even if the house is paid off, you’ll still be paying more property tax, utilities, and maintenance than you would be in a smaller home. Speaking of maintenance, the bigger the house, the more time (and money) you’ll spend on maintenance and upkeep. Yardwork, cleaning, and other repairs can wear you ragged if you’re not careful. For some, this kind of activity is how they prefer to spend their Saturdays, but this DIY passion can’t last forever. If upkeep is starting to seem like more of a hassle than a hobby, downsizing might be a good move for you. One of the most common catalysts for downsizing is retiring. If you’re transitioning from a steady paycheck to living off retirement savings, downsizing can be a great way to cut expenses. This extra cash can help pay for vacations or spoiling grandkids rotten. It’s no secret that Spring is typically the best time to sell a home. 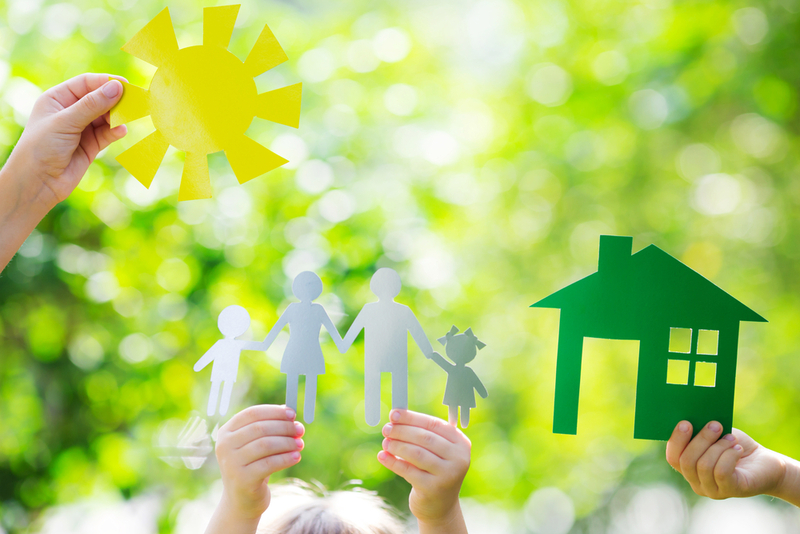 The holidays are finally over, so people actually have time to look, the weather is prime to make the lawn and landscaping look great, and the school year will be over soon, so parents can buy without uprooting their kids mid-school year. Combine all those factors with the low interest rates we’re seeing right now, and it’s a great time to sell. However, selling a house is never a cake walk no matter how good the market is. We know anyone looking for a new construction home in Tulsa will have to sell their current home first, so we put together a quick list of how to sell your home in Spring. Invest in Landscaping– This time of year makes landscaping a no brainer. Make sure the lawn is mowed, weeds are pulled, and fresh flowers are planted. If your thumb isn’t so green, it may be worth hiring a professional landscaper to do the dirty work for you. First Impression– A home listing will never get more views in a single day than the first day it’s listed. With the steaks this high, you can’t afford to blow this first impression. Make sure the pictures are perfect and the price is right before your home goes live on the market. Aim for Thursday– Speaking of listing your home, studies have shown that homes listed on Thursdays will sell faster. No one is exactly certain why this happens, but we’re guessing it’s because most buyers look on the weekends, so they start looking online on Thursdays. Regardless of the reason, it’s an easy step to take to increase the odds of a fast sale. Be Realistic– Yes, it can be a seller’s market this time of year, but that doesn’t mean it’s okay to be unrealistic about price and timeframe. You still need to list your home at a fair price and be ready to wait it out. If you’re in the market for a new construction home in the Tulsa area, call Perry Hood Properties. A fresh coat of paint, new hardwood floors, remodeling the bathroom, and sprucing up the landscaping are all the tried and true ways to increase the value of your home. 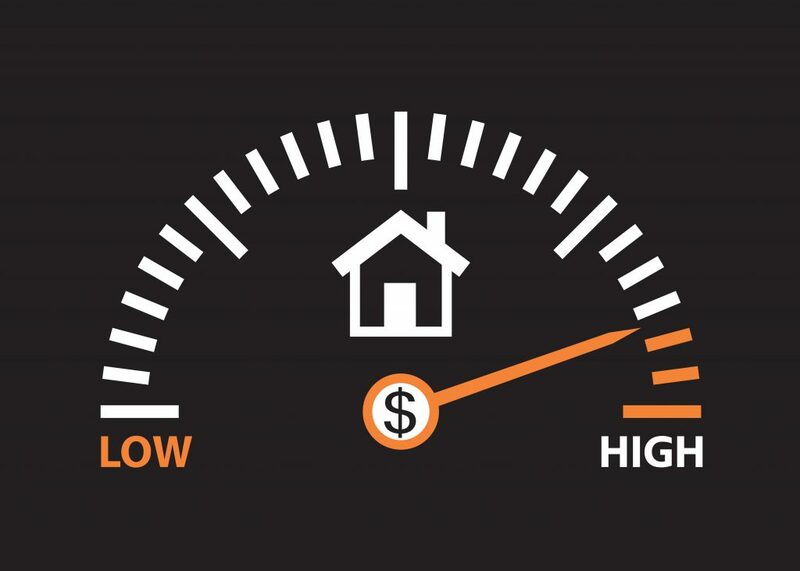 However, there are a few factors that can move the needle on your home’s value that may surprise you. The study of color psychology is fascinating, and the folks at Zillow decided to conduct a study on how colors affect the value of a home. By looking at more than 30,000 pictures of sold homes across the country, they found painting kitchens and bathrooms blue to be a strong value-adding factor. Blue kitchens fetched an extra $1,809, while blue bathrooms garnered an additional $5,440. Homes located within a quarter mile of a Starbucks increased their value by 96% between 1997 and 2014 compared to 65% for all US homes. Researchers also looked to see if a similar boost was seen by homes near other coffee shops. They found that these homes did, in fact, see a greater boost when compared to the average US home, although it was not as high as the Starbucks homes. Studies have shown that people prefer to live on a street with a name, like Elm, instead of a street with a number, like 31st. What’s even more surprising is that researchers have found a correlation between price and address suffix. Street is the least expensive, boulevard is the most expensive. Living in Oklahoma, we’re all well acquainted with that adorable couple down in Waco. The Gaines have made quite a splash on the home improvement and real estate market. By listing some of their favorite home features like “farmhouse sink” or “barn doors” homes are selling for more money and they’re selling much faster. It’s hard to believe, but it’s March and that means it’s time to clean. 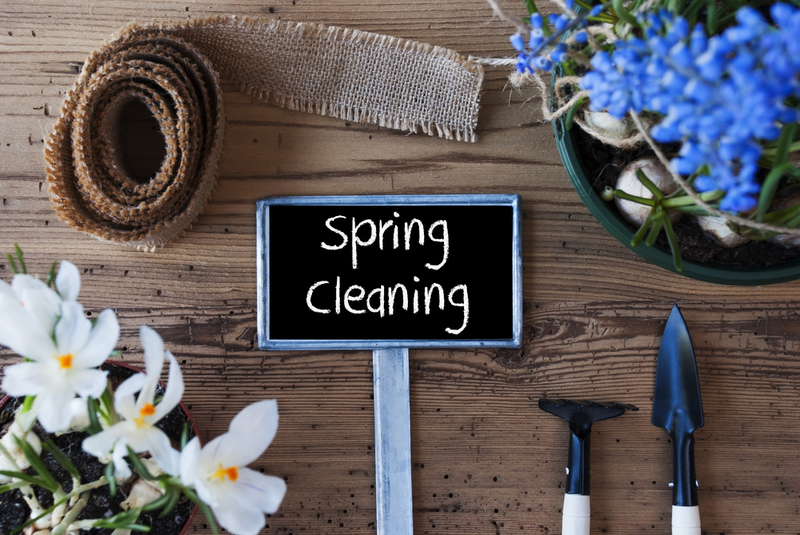 No one is sure of the exact origins, but for some reason the Spring season has become synonymous with finally getting around to those cleaning duties you normally neglect. Sometimes getting started is the hardest part. That’s why we put together a quick list you can use to get the ball rolling on your Spring cleaning. Regular vacuuming is a good idea, but rugs and carpet will collect stains and dinginess overtime that vacuums just can’t get out. Giving rugs and carpets a good wash with hot water and shampoo once a year will keep them in tip top shape. You can either rent a carpet cleaner or pay professionals to do it for you. Walls will get scuffed up and ceilings will get dusty throughout the year, but it’s easy to not notice these blemishes as they slowly accumulate. Take this opportunity to wipe down walls and dust ceilings. Every time you open a door or cabinet, your hands leave a little oil on the knob or handle. This oil can slowly build up and become unsightly. Grab a bottle of metal polish and clean off this build up. Applying a new coat of wax to your wooden furniture will keep it looking good and protect it from damage. Apply the wax with a cotton cloth, let it dry, and then buff with a clean cloth. Now is a great time to go room by room and evaluate what you really want to keep. It’s easy to let little knick knacks pile up and end up with a house full of junk. Get some boxes and start filling them with things you don’t really need to keep and then drop the boxes off at your local Goodwill. Window seals, ceiling fans, air vents, bookshelves, blinds, and all the other places that collect dust need to be dealt with. If you want to get really serious about your Spring cleaning, here’s a truly exhaustive list of things you can clean around your house.